DROID X Actually Launching on July 2nd? 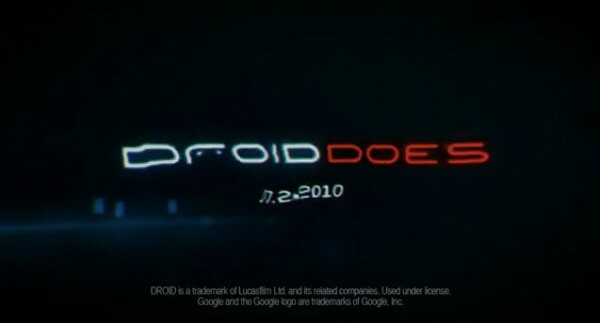 Yesterday’s new Droid X commercial deserves an award for social media buzz. This thing has been packed with enough nuggets to generate 3-4 posts from us. Nice work Verizon DROID campaign. So the latest gem comes from the final second of the video when a July (7.2010) release date is displayed on screen. If you pause and capture the video right at the 15 second mark it sort of looks like 07.2.2010 which could mean we’ll see the device earlier than our predicted July 19th date. Thoughts? I’m leaning towards this one just being a coincidence, but after the months of speculation and random rumors surrounding this device, I’m done calling anything. Contest: Vote for the Next Droid Life Logo!